We’re working on post-production from our recent motion production of an incredible pool and water park. Here’s a small teaser with some behind-the-scenes photos. Look for the still images soon and shortly thereafter, a short motion production of this amazing project. Special thanks to Kyle Coburn for the behind-the-scenes images! More images after the jump! 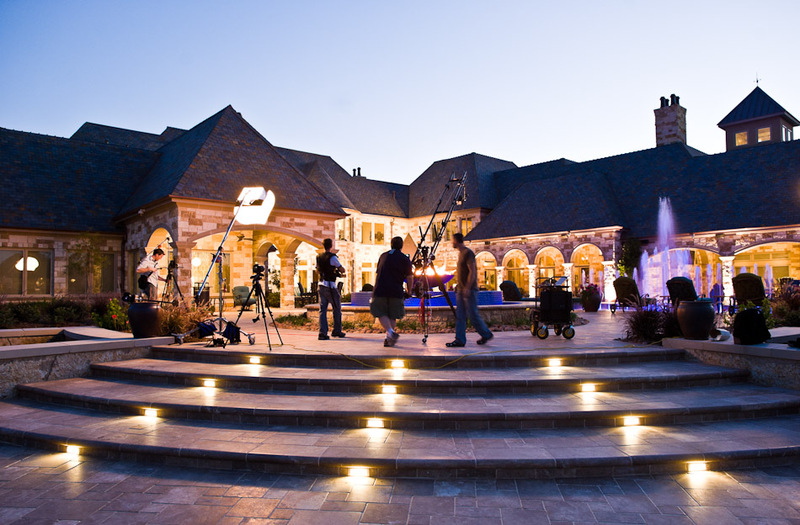 Sean Gallagher and the film crew busy at work as dusk falls upon a pool project at a private residence in Texas. Posted in: Behind the Scenes, Luxury Homes.